Shut down after Sunday services, influential congregation had refused orders to install government face recognition surveillance cameras. Christianity Today’s Jeremy Weber contributed to this report. Beijing authorities threatened to close Zion Church last month after the 1,500-member congregation, one of the Chinese capital’s largest house churches, refused to install surveillance cameras in its sanctuary. After services on Sunday, officials delivered on their threat to the unofficial Protestant congregation, which meets in a renovated hall in northern Beijing. Zion is now banned and its materials confiscated, reports Reuters. “On Sunday, the Beijing Chaoyang district civil affairs bureau said that by organizing events without registering, the church was breaking rules forbidding mass gatherings and were now ‘legally banned’ and its ‘illegal promotional material’ had been confiscated,” reported the news agency, citing images of the notice and confirmation by churchgoers. “I fear that there is no way for us to resolve this issue with the authorities,” Zion’s pastor, Jin “Ezra” Mingri, told Reuters. 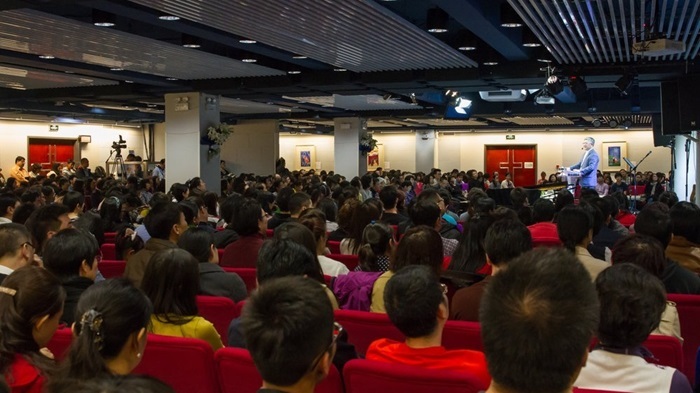 ChinaAid reports that Zion, the biggest house church in Beijing, “has decided it will not be swayed by the ban and instead hold services outdoors.” The strategy echoes how another noteworthy Beijing house church, Shouwang, responded to similar problems in 2011. 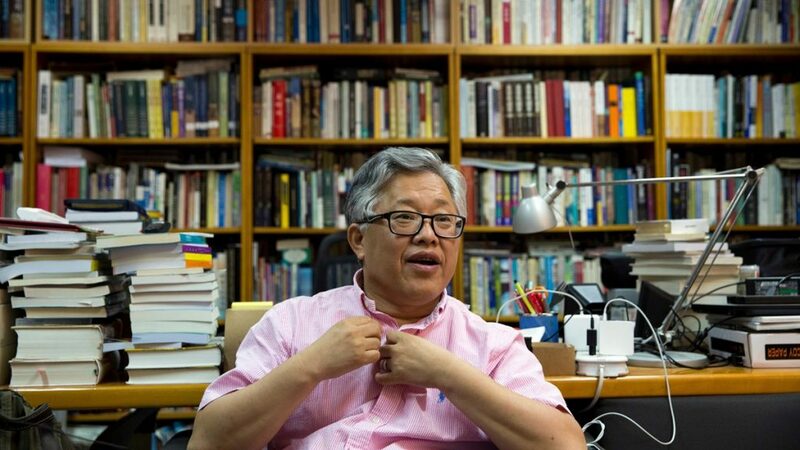 Pastor Ezra Jin of Beijing’s Zion Church, during an August 2018 interview with the Associated Press. Meanwhile, more than 250 Chinese church leaders have signed a joint open letter protesting the erosion of their religious freedoms. “Being labelled a cult was how it all started for the Falun Gong in 1999,” Wang told the agency, referring to the spiritual movement the Communist Party banned that year. CT previously reported the rising red tape that Chinese churches face, as well as how another prominent Beijing house church resorted to worshiping outside.